Note: This journal article covers two topics that we thought each deserved its own astrobite. Yesterday’s astrobite discussed the first half of the paper, about the effects of tidal heating on habitability. Today’s astrobite explores the concept of superhabitability. Let’s talk about the Copernican principle. This idea states that we (humans, Earth, the Solar System, etc) are not special. We’re not the center of the universe, and there’s no particular reason to believe that we’re unique in the Universe. We’re just average, middle-of-the-road, ordinary. In a lot of cases this has turned out to be true — Earth is not the center of the Solar System, the Solar System is not the center of the Galaxy, and the Milky Way Galaxy is only one of many. So this concept is really useful when trying to understand cosmology, but what does it mean in the context of our search for habitable worlds? The Copernican principle would imply that the reason life exists on Earth is not because Earth is a unique, magical place. Instead, life exists on Earth because Earth happens to have the right physical conditions to allow life to evolve, and those physical conditions probably exist elsewhere, too. So our search for “habitable” worlds is often conflated with a search for “Earth-like” worlds — planets and moons with the same size, density, and surface temperature as Earth. But what if we’re not average? What if Earth isn’t your standard suburb of habitability, but actually a rough neighborhood, habitable-but-only-barely? 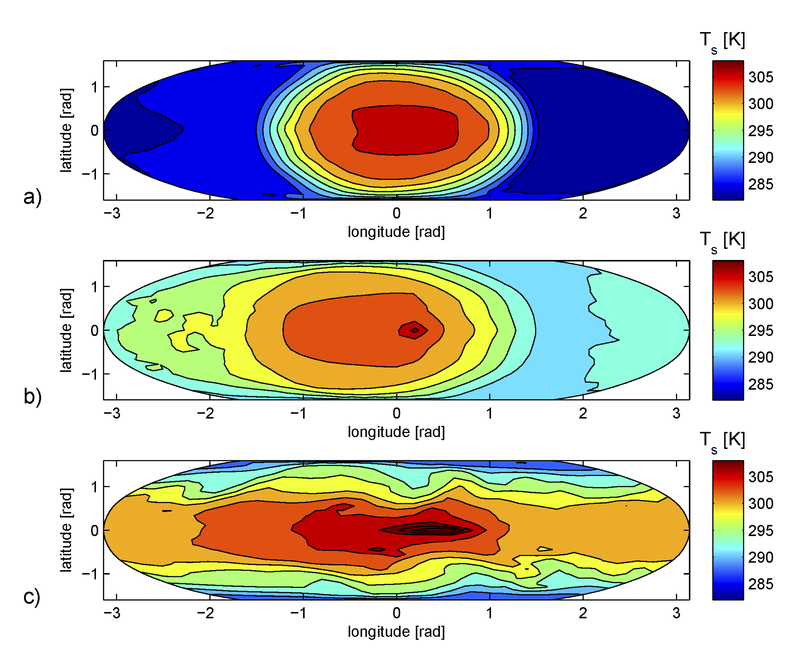 In an astrobite from last year, we talked about a new calculation showing that Earth is right at the edge of the Sun’s habitable zone (see Fig 1). If we were any closer to the Sun, the Earth’s surface would be too hot for liquid water (and for life as we know it) to exist. We’ve discovered other exoplanets that sit much more comfortably in the middles of their habitable zones, where variations in their orbit are less likely to push them out of the habitable zone. So maybe Earth isn’t, as we’ve assumed, the poster child for habitability. The authors of this paper explore the idea that there could be exoplanets and exomoons that are more habitable than Earth. In other words, the physical characteristics of these superhabitable worlds make them better environments for life. The authors argue that we should be looking for superhabitable worlds in our search for life, rather than Earth twins, because we’re more likely to find life on these superhabitable planets. As mentioned above, Earth is only barely inside its habitable zone. Worlds that are further inside their habitable zone are therefore superhabitable. Worlds older than Earth are superhabitable, both because life needs time to evolve and because life itself apparently modifies its environment to make it more habitable. The star itself should therefore be older than the Sun, and less massive stars have longer lifetimes. M stars are the least-massive stars on the main sequence, but young M stars emit lots of UV radiation (which is probably harmful to life) and more evolved M dwarfs probably don’t emit enough UV radiation to allow certain important biochemical compounds to be formed. The authors conclude that that K stars, which are in between G stars (like our Sun) and M stars in mass, are probably the most likely to host superhabitable planets. The Earth has a relatively stable, circular orbit. “Stability” might sound like a good idea for habitability, but in fact it means that small changes in Earth’s orbit (which have caused huge changes in Earth’s climate in the past) are not quickly corrected. The authors argue that worlds on mildly changing, eccentric orbits could be superhabitable due to effects like tidal heating (see yesterday’s astrobite). Other bodies in the system would be required to excite this eccentricity. Multi-planet systems could increase the likelihood that the habitable world is bombarded with comets and asteroids. On the one hand, this kind of bombardment could deliver water and other useful materials to the world’s surface, but it could also hinder any evolution that is occurring. If there were multiple worlds in the habitable zone of a system (which the authors call a multihabitable system), life could be exchanged between the habitable worlds in a process called panspermia. This possibility increases the probability that the worlds are inhabited, and overall the authors conclude that the worlds in multihabitable systems are superhabitable. 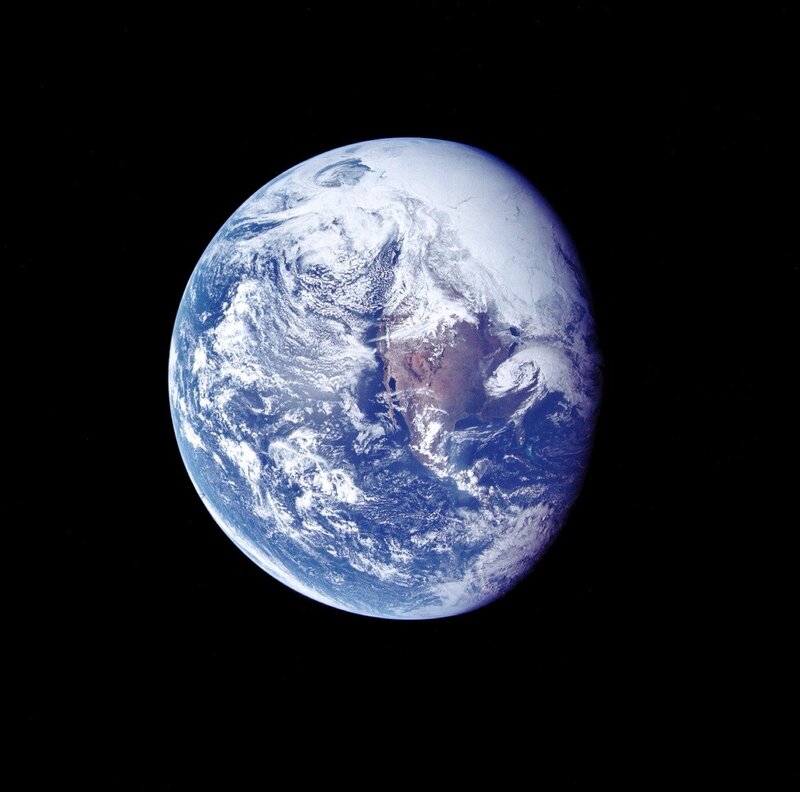 A larger world than Earth would have a greater surface area with more space for life. However, if the world is too massive, tectonic activity (which is important for life) decreases. The best size for a superhabitable world is up to 2-3 times the mass of Earth. Based on where we see the most biodiversity on Earth, a superhabitable world should have lots of shallow water and longer coastlines. 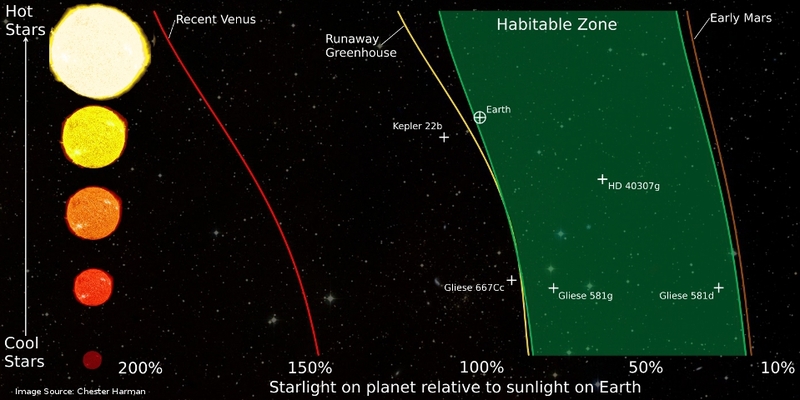 Although the presence of liquid water is our primary definition for habitability, dryer planets will have a wider habitable zone because they are more resistant to the greenhouse effect (at the inner edge of the habitable zone) and can absorb more heat from the star and stay warmer (at the outer edge of the habitable zone). The authors suggest that a world with less water (by fractional surface area) in many seas and lakes rather than a single large ocean would be superhabitable. The world’s atmosphere is also crucial. A more massive atmosphere would better shield the surface from harmful cosmic radiation, and it would decrease the temperature contrast between night and day. Oxygen on Earth might be a limiting factor for the maximum size of a lifeform, and all known multicellular organisms require oxygen, so a world with a higher level of oxygen in the atmosphere would be superhabitable. However, the oxygen level should not be higher than 35% (it’s 21% here on Earth), or runaway wildfires will become a major problem. This paper is labelled as a “Hypothesis Paper” in the journal, meaning it’s meant to spark conversation and investigation rather than reach any solid conclusions. It contains a lot of speculation without much modeling or calculations, but the authors do conclude that a planet (or moon) with a mass up to 3 Earth masses orbiting in the habitable zone of a K dwarf would be more suitable for hosting life than the Earth. Interestingly, the closest stellar system to us has a K star, Alpha Centauri B. The authors suggest that this system is an excellent target in the search for superhabitable worlds. The authors also note that while some of the physical characteristics they discussed are difficult or impossible to observe (such as a world’s climate history), others can be observed with our current or upcoming telescopes (like the orbits and masses of exoplanets and exomoons). We’ve already found planets that would be considered superhabitable for some of the reasons described in this paper. Perhaps we need to be studying these worlds more closely, where life is more likely to be present and flourishing, rather than searching for another Earth. How to Keep Warm Outside the Habitable Zone Pack your suitcase? Super-Earth Gliese 581d is in the ‘Habitable Zone’ Prevalence of Planets that Might be “Earth-like”, Maybe Are Carbon-Rich Planets Just an Observational Bias?